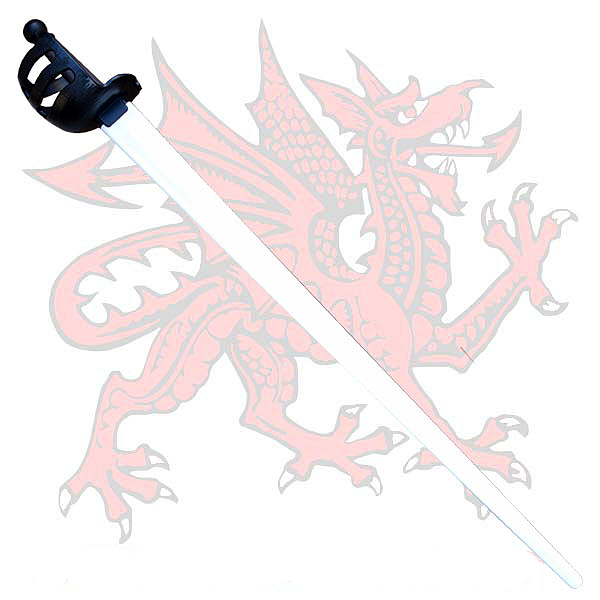 These training swords are constructed in the United Kingdom from a special blend of high impact plastics and are meant for blossfechten sparring (when used with appropriate safety measures and gear). Inherently safer than steel or aluminum training swords, they can also be used for drills and pell work, and are an excellent option for theatrical use. The blades are designed to flex in the last 1/3 of their length, allowing for much safer thrusting than is possible with wooden wasters or shinai. The blade/tang joint (traditionally a weak point in flexible synthetic swords) is reinforced by a high tensile steel rod which runs the full length of the grip. The ball-shaped quillon finials and rounded pommels are designed for sparring safety. The grips are manufactured from a rubber-like thermoplastic elastomer, designed to absorb the impact of strikes and to provide a tight fit on the tangs. A favorite among Western Martial Arts groups and stage combatants, these basket hilt swords are available with white blades, black blades, or silver blades.